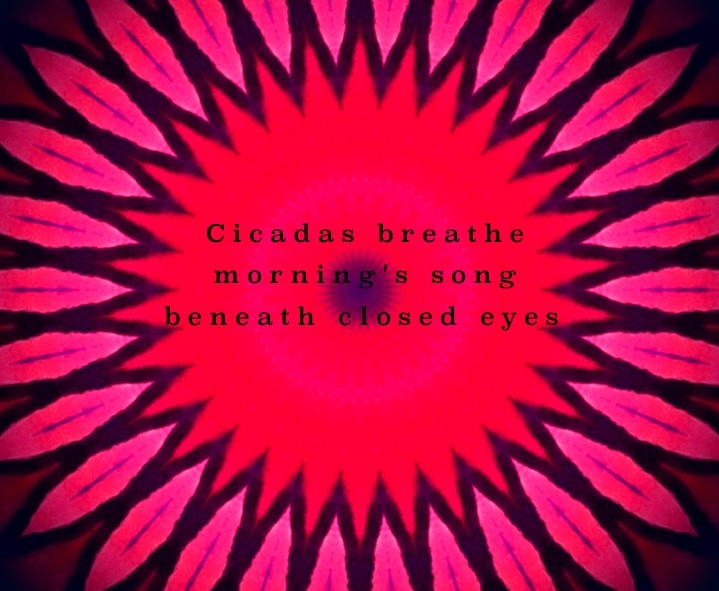 In the cicada’s cry/ No sign can foretell/ How soon it must die. 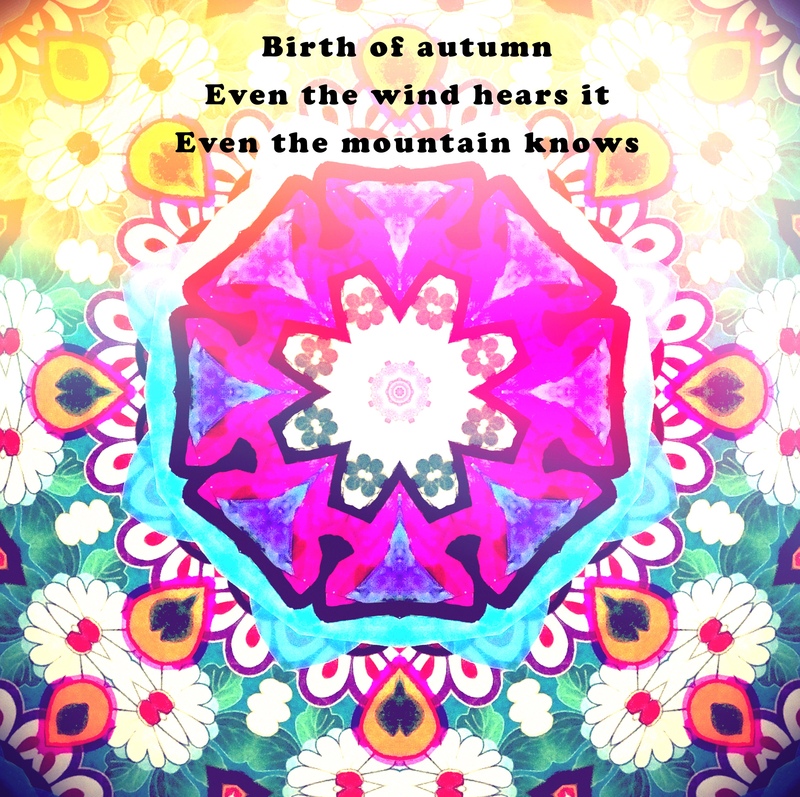 Blowing from the west/ Fallen leaves gather/ In the east. Don’t weep, insects -/ Lovers, stars themselves/ Must part. 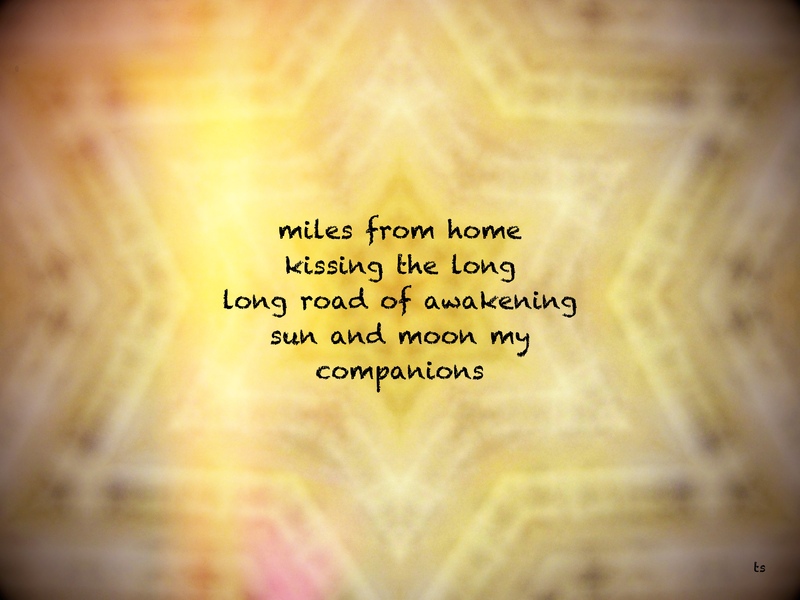 Though I love writing in almost every form, from the personal essay, to short stories and other forms of poetry, there is something that keeps me trying my hand at haiku. Doing so feels only like a great writing practice but a spiritual one as well (aren’t all our practices spiritual at heart?). The haiku invites us to distill our emotions, experiences and sensory life into their deepest essence, so that we can better understand ourselves as we journey toward communicating our lived experiences with the world. 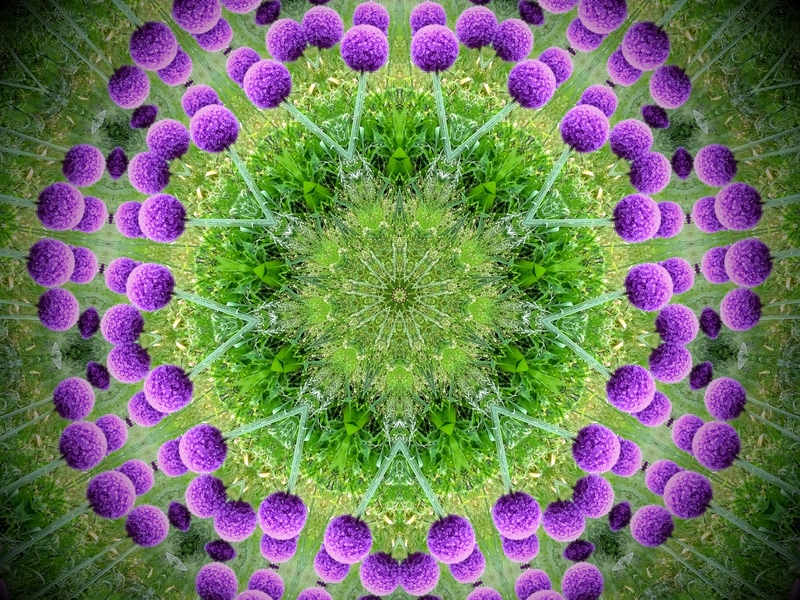 I was guided by instinct to create mandala using a computer program that allows me to use my own photographs as the source imagery. Though the original images are completely obscured, the final mandala would be impossible without them. Outer beauty meets with ethereal, cosmic source! So, too, with the haiku, that most vivid snapshot of our unique experiences, which are forever hidden outside the context of their moment of occurrence, but serve as the foundation and inspiration for the words we can then bring into shared experience. 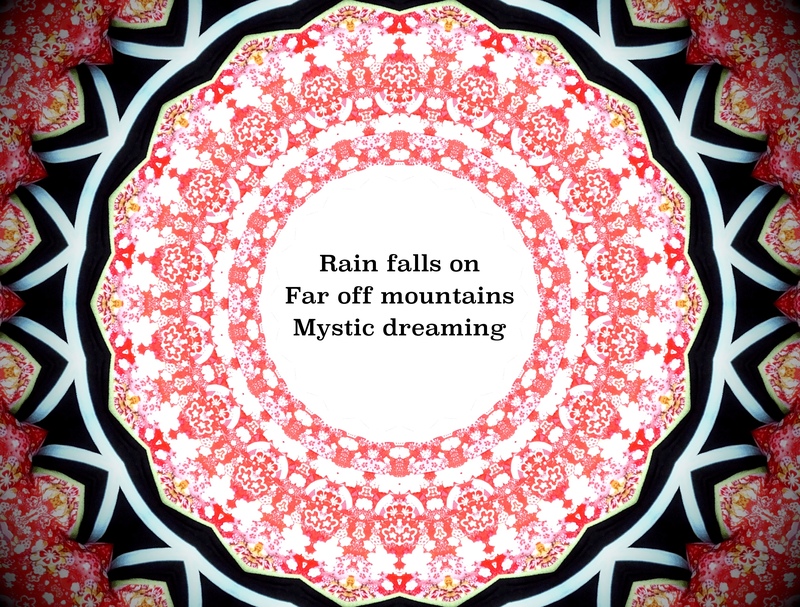 I’d like to thank Catherine Ghosh from the bottom of my heart for holding my mandala haiku into her brilliant, creative hands and weaving her magic to make the beautiful video below, featuring the stunning, serene music of Paul Avgerinos. Catherine continues to help me see and understand that every work of art is part of a greater whole, and that we shine so much brighter through the lens of a shared vision. Thank you, Catherine, for bringing this video into life!